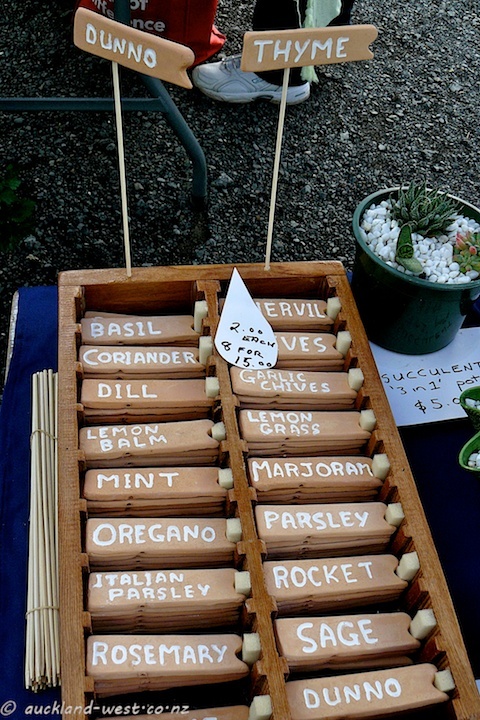 Labels for all the herbs in your garden. Whether you know them or not. Seen at the Oratia Farmers’ Market. Yes it was a joy to meet your “twin brother”. He and mrs jb are now back in Mainz and I believe jb will do a post on Monday about his visit in Avignon, linked to mine.